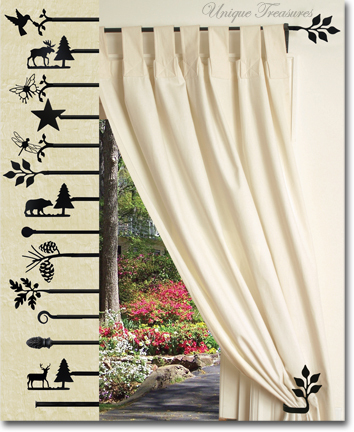 Showcase any window with our wrought iron curtain rods and tie-backs / hold-backs. Our decorative wrought iron finials will make your window one of a kind. 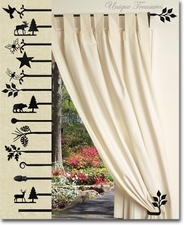 There are a variety of designs to complement any home decor.